Salsa essential! Use pungent leaves (cilantro) in Asian and Mexican dishes. The seeds (coriander) are used to make curry powder and in sausages. Start outdoors after danger of frost. Cilantro may be grown from seed sown early indoors and transplanted outside after frost or in a container, or sown directly in the garden after danger of frost, or planted as a potted plant. The seeds are called coriander and the leafy green part in the cilantro. Sow cilantro seeds indoors 6-8 weeks before the average last frost date in spring using a seed starting kit. Thin to 12 inches apart when seedlings have three pairs of leaves. Sow every 3 weeks during the growing season to ensure steady supply. Harvest cilantro leaves before the flower stem has developed. Harvest coriander seeds once they start turning from green to gray-brown. The leaves may be dried or frozen. Use them fresh in Asian and Mexican dishes; they taste is better than the smell. The ripe seeds are an important ingredient in curry. They are also used as a pickling spice or sugar-coated and eaten as candy. Cilantro (Coriander) is rated 4.0 out of 5 by 14. Rated 2 out of 5 by Garden gurl from Very slow Hasn’t bolted, I guess that’s a good sign but it hasn’t grown very much. I planted a lot of the seeds and I’m surprised this is all I got. Rated 1 out of 5 by Superchomak from Super Bolty Seems to go from tiny seedling to bolted in zero flat. If you want seeds (for the spice coriander) this is the variety for you. If you want cilantro I would recommend a slower bolting variety. Rated 5 out of 5 by Scribble from Love this! I love cilantro so I couldn't wait to get it. It arrived in these very cool containers that virtually guaranteed it's safety. Opened it up and they smelled so nice. I have already begun to use a few. But I will let them grow a little more before really making cuttings. Rated 5 out of 5 by chihuahuaman12 from Wonderful Plant Gives You Two Culinary Essentials! This is a wonderful plant! It provides you with fresh cilantro leaves and then produces seeds early! The seeds are coriander. The plant comes tall and leggy but later gets fuller. Give the plant lots of water when you plant it outside. Once acclimated, the cilantro enjoys sunshine and adequate water. I bought the plant because herbs can be difficult to germinate from seed. Harvest 1/3 of the bright green leaves at a time so you don't weaken the plant. Use the leaves to add a kick to many foods. The plant forms seed stalks at the top early in the season. Once the plant dries out, you can harvest the coriander seeds! This easy-to-care-for plant gives you both cilantro and coriander! I would recommend this plant to lots of people! Good Luck! Happy Planting! Rated 3 out of 5 by Ricocas from Cilantro Seeds Seeds came as described. All Seeds Germinated easily and grew well. Make sure to space seeds accordingly. 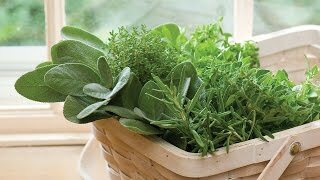 Rated 4 out of 5 by ConcreteyardGardener from tasty This is a great fresh herb. Good for salads and lentil soup, especially. It germinates readily. It's best direct sown outdoors. The first year a grew it, I tried to start it early with other herbs under plant lights but the seedlings were weak and didn't transplant well. They do better and require much less care when direct seeded to the garden (or pots since I don't have a dirt yard and grow everything in pots). Parsley and cilantro thrive in colder temperatures so they can be planted earlier than the seed packets say. My one complaint about the cilantro is that it bolts quickly and cutting it back doesn't really help. Once it flowers, it will keep flowering. In the future, I would plan on reseeding the plants once or twice throughout the growing seasons to replace the old plants once they bolt. They grow pretty fast so that should work.